Cottage in a village in Haute Tarentaise, beautiful panorama quiet. Located in the heart of major international alpine ski resorts. Old farmhouse renovated 18th century. Private garden and courtyard. Typically Savoyard interior. Winter, skiing and snowshoeing on site. Summer, starting foot hiking trails for all levels. gite agréable calme et confortable. 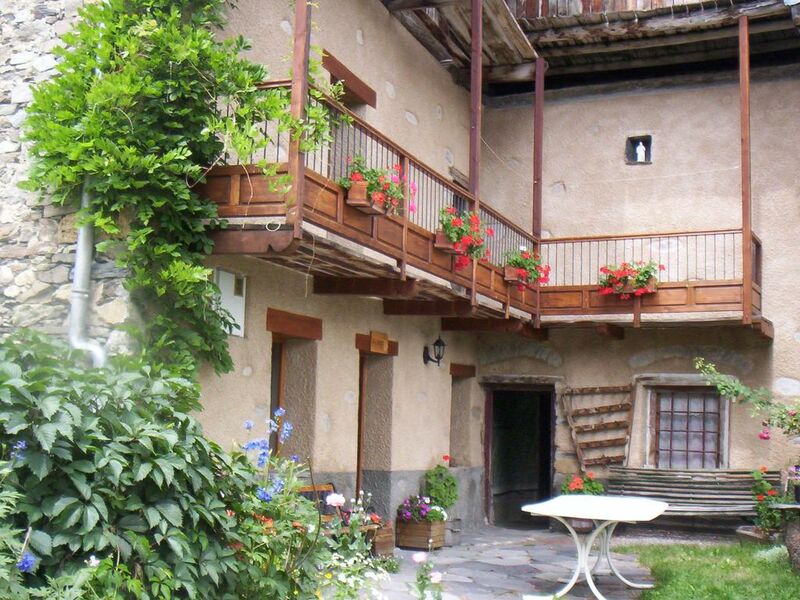 Lodging in the heart of the Haute Tarentaise resorts 7 km from the town of Bourg St Maurice and Les Arcs, in a typical village with beautiful view, calm and quiet. You will be near the resorts of La Plagne, Val d'Isere, Tignes, La Rosiere and Ste Foy Tarentaise. You will find at Bourg St Maurice shops and all public facilities, swimming pool, water sports, cinema etc. In winter there, snowshoeing and cross country skiing on virgin area. In summer you will be from several hiking trails on foot or mountain bike.